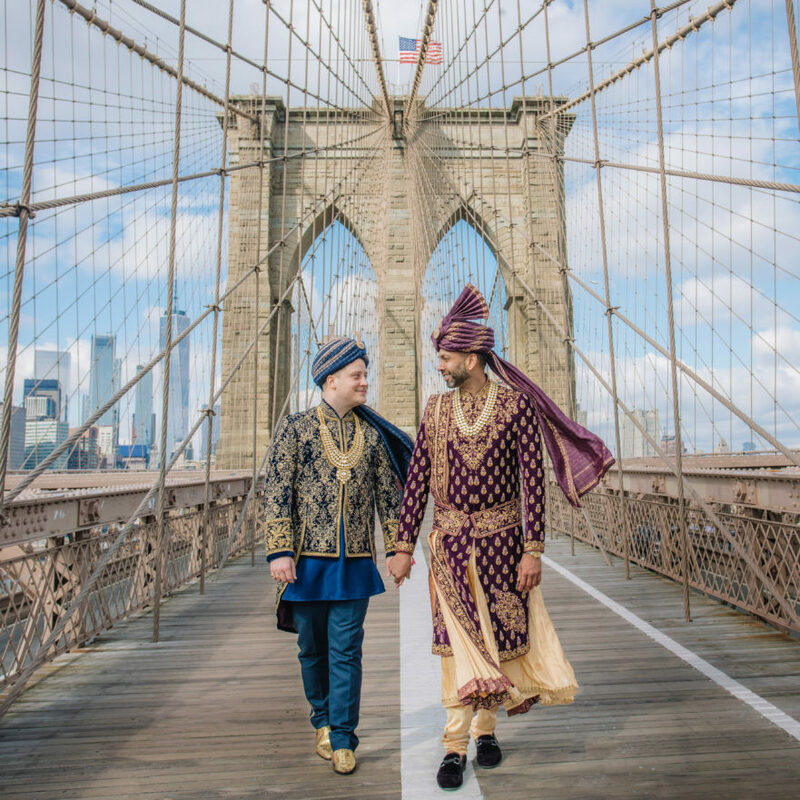 Amit and Martin - Sonal J. Shah Event Consultants, LLC. I’m not sure where to begin…it’s been 2 weeks since the wedding and I still don’t have words. This wedding was above and beyond anything we could have ever wanted, expected or dreamed of. We are both still on a high from the celebrations. I woke up this morning to hundreds of Instagram, Facebook messages and emails due to the Tarun posts. Somehow, the magnitude of what we all pulled off was lost on me. I just thought of it as our wedding; it did not occur to me the greater, bigger, more universal message that we were sending with this wedding. The messages of hope, acceptance and love we’ve been getting all morning are so heartwarming, humbling and incredible. On a larger, grander scale….globally, we showed the world what love was/is about. We were able to show our families’ acceptance and pure joy in the celebrations that took place. We gave hope to people who felt lost or not welcome and maybe gave them a chance to be happy and be true to themselves. I can never say thank you enough, no words can articulate my/our gratitude for what you did for us. This is something that we will remember forever and will always be a part of our journey as a couple. Thank you all, every single one of you for being a part of our story. You do not realize just how many people you’ve affected in a positive way by just being involved in our journey to the alter. Thank you a million times over, I still can’t seem to find the words. This wedding is a physical manifestation and representation of tides changing globally; you all are a part of that…forever.